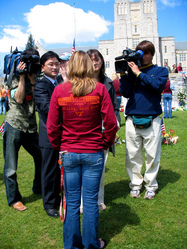 A student is interviewed by the media. Burruss Hall in background. 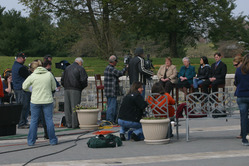 Major media outlets interview students, faculty, and staff.